Earlier this week, I was up on the Echo Park Blog with two cards featuring the Creative Agenda collection! This is one of my new favorites! I love all of the fun colors and the awesome embellishments that go along with the collection! This collection is perfect for creating everyday cards for the special people in your life. 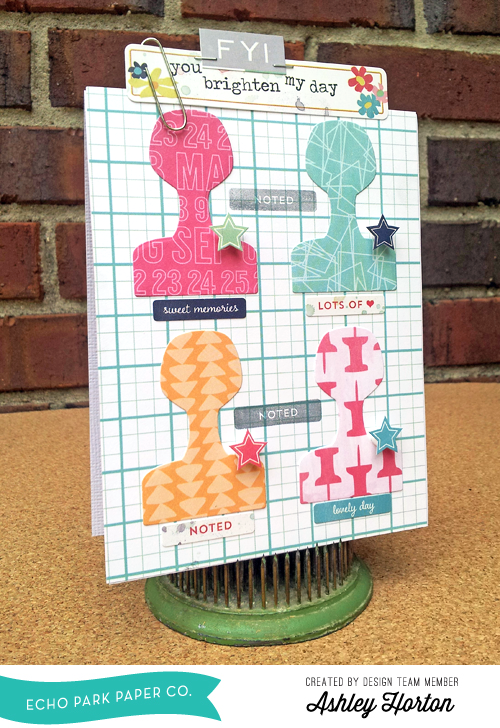 And you can add an extra wow factor to your cards, by using the coordinating Designer Dies! 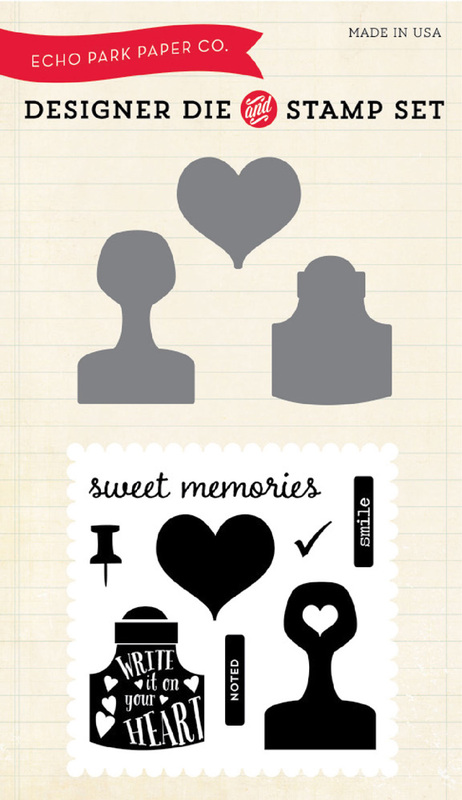 I used the cute stamp handle Designer Die from the Sweet Memories Die/Stamp Set on my first card. I cut the die four times on different patterned papers and then arranged them in a grid on my card base. I added a sentiment sticker under each of the stamp handles and finished my card by stamping the “Noted” sentiment, and adding stickers from the Element Stickers Sheet for my card sentiment. On my second card, I repeated a similar technique using the heart shape from the Sweet Memories Die/Stamp Set. 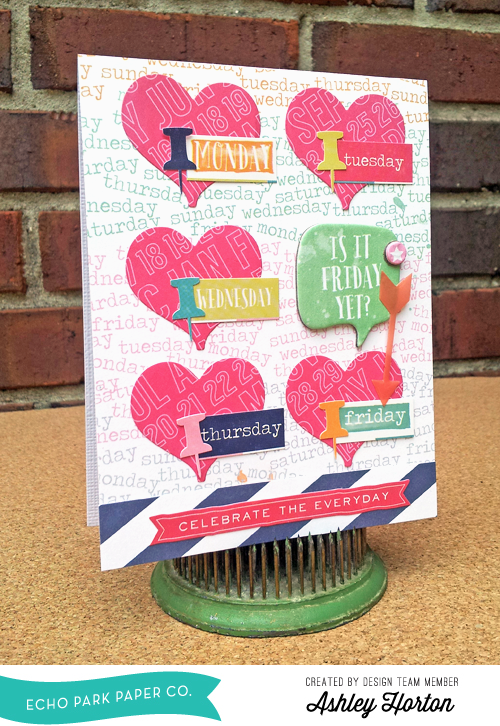 I layered five hearts over my card base, and added the “Is It Friday Yet?” talk bubble, as the sentiment for my card. Then I used the days of the week stickers from the Alpha Stickers Sheet, to embellish each of the heart shapes. I love to use the Designer Dies on my projects, because you can create so many different looks each time you use them. And you can pair them with the coordinating stamps to create even more fun looks! Check out the Products page on the Echo Park Blog to see all of the fun Designer Dies and Stamps, that coordinate with the Echo Park collections!